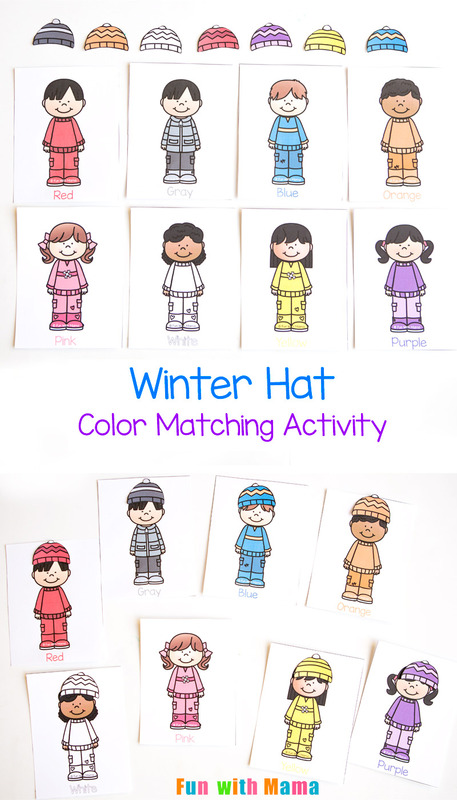 This adorable winter printable color matching hat activity is perfect for working on colors with toddlers and preschoolers. 2, 3 and 4 year olds love using paper dolls to play dress up. Which little kid doesn’t love playing dress up? 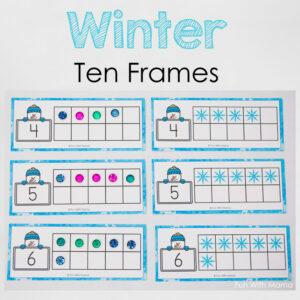 This activity is a great way to talk about different colors with your child. 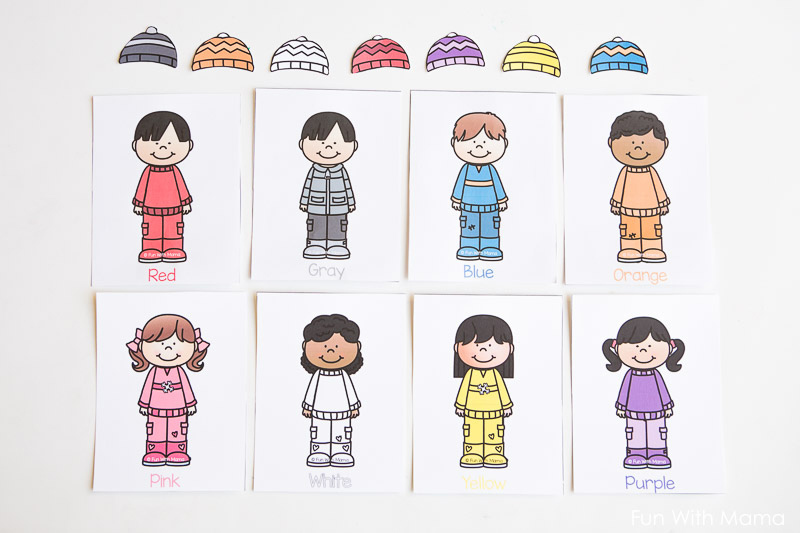 You can have your child sort boys and girls as well as match the hats. 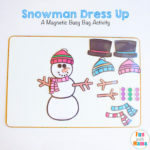 You could also try my winter magnetic dress up activity as a busy bag activity or even the play dough dress up. 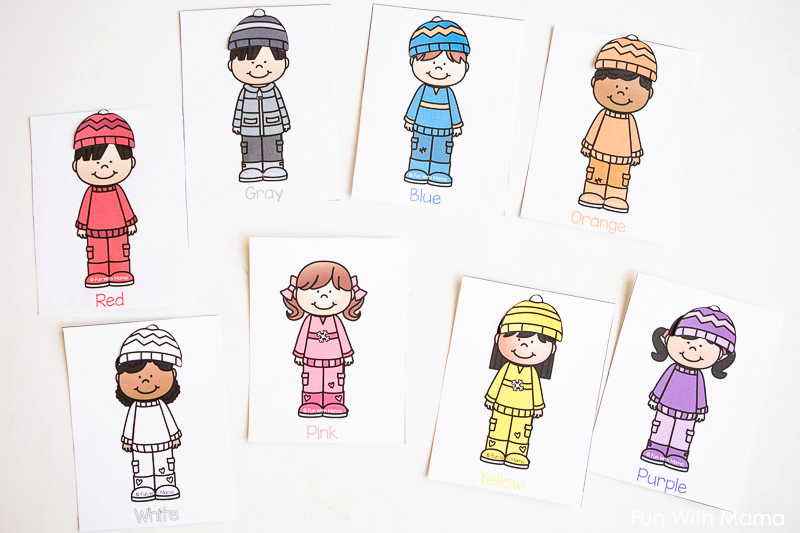 To prepare the activity all you need is to print it out on card stock. 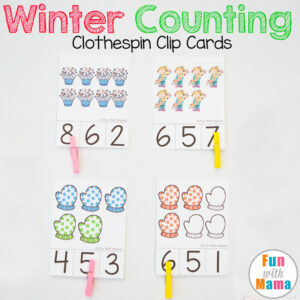 Then cut out the cards and hats. You can laminate it for extra durability. 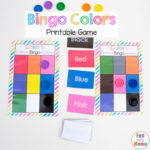 Then, you can use velcro dots if you would like to use the activity multiple times or even a piece of sticky tack to connect them. 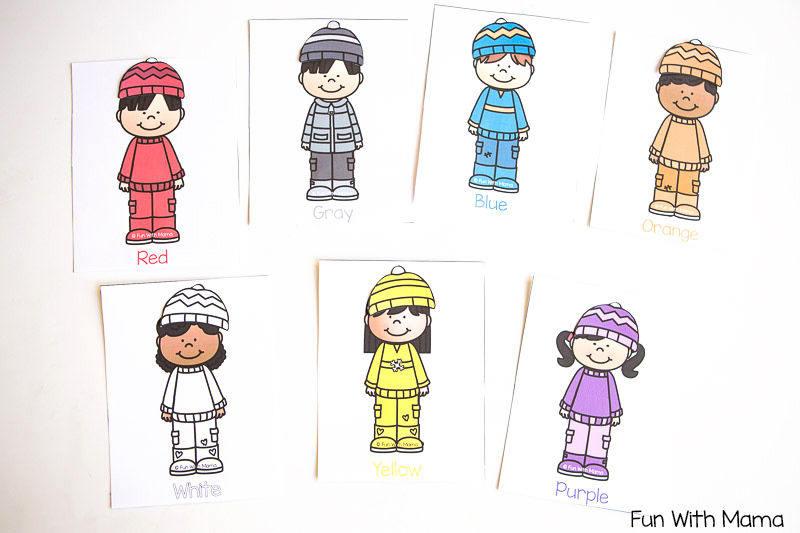 The colors that are included here are red, gray, blue, orange, pink, white, yellow and purple. 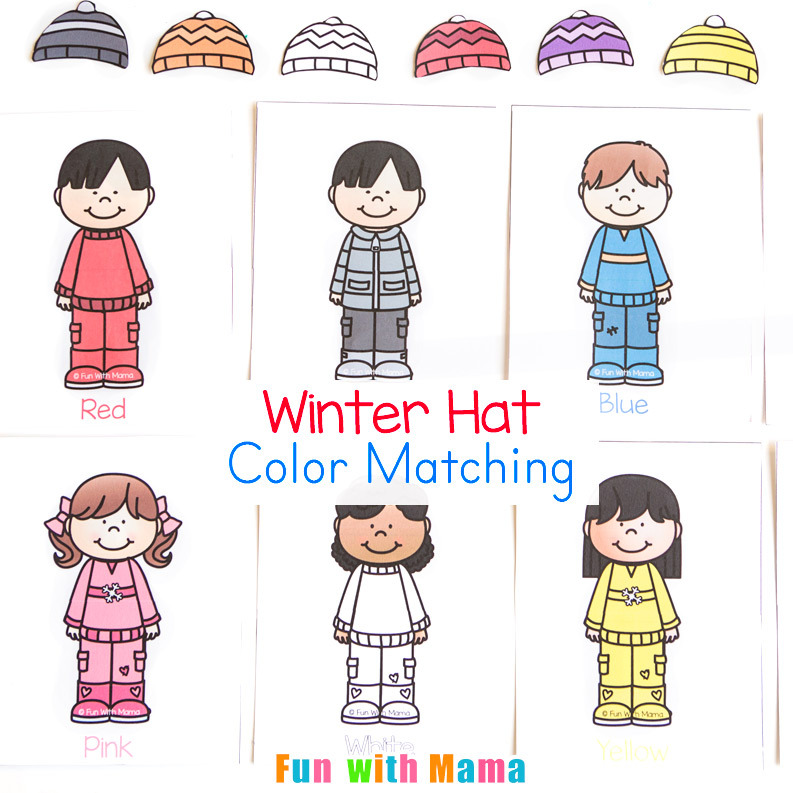 Have your child match the hats or sort according to gender. You can also sort according to long hair and short hair too. Talk about what clothing each child is wearing and why they need to put on a hat. 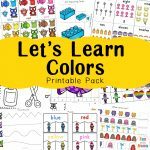 It would be so adorable to hear your 2 and 3 year old’s response. 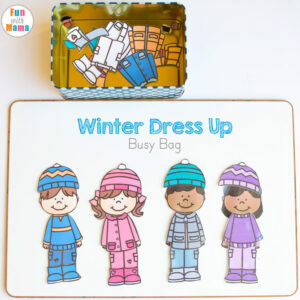 Then all you need to do is place all the pieces in a ziplock bag and now you have a simple toddler busy bag activity to use. 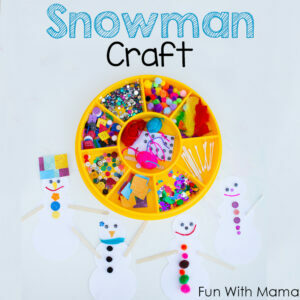 You can find more toddler activities here.